Although I’ve never been an intrepid sailor myself, I fully appreciate the exhileration one can experience from the deck of a sailboat. There’s just SOMETHING about cruising around the ocean, wind whipping in your hair, the sea spray cooling you off on a hot day. And, when you sail on the oceans around Hawaii, you can truly appreciate the beauty of the islands. In fact, from a distance, Hawaii almost seems primitive and untouched. So, do I have you hooked yet? 1. Trilogy Discover Lanai, Maui/Lanai: Hawaii Aloha Travel is partners with Trilogy boat tours for a reason: They are tops when it comes to providing a safe, yet exciting sailing experience. The Original Discover Lanai tour has been around since 1973 and begins with a breakfast of homemade cinnamon rolls, coffee, juice, and seasonal fruit, as you set sail from Lahaina Harbor on Maui. The tour takes you to Hulopoe Bay Marine Sanctuary Beach on Lanai, where you can snorkel, swim, SNUBA, sunbathe, or just relax on the boat. If it’s whale season, you can typically see whales, too! After lunch, the choice is yours: Play on the beaches of Lanai or participate in water and beach sports. Then, plan to eat dinner on the boat, as you sail back to Maui. The tour is 8.5 hours long, so plan on spending the entire day with Trilogy. 2. Sail Makani: Tripadvisor named Sail Makani #15 out of 162 Boat Tours and Watersports (the company came in first for boat tours), and it’s also a Certificate of Excellence winner. Makani’s catamaran offers a covered cabin seating area, two large, freshwater restrooms, Bose surround sound system, LCD TV, sunbathing net areas, and pilothouse seating. The Turtle Canyon tour takes you around Waikiki, where you can snorkel with turtles off Waikiki Beach. The Sunset Dinner cruise provides a picturesque Diamond Head background while you dine. The Afternoon Sail is a 2-hour trip through Oahu’s south shore. Finally, you can choose the Friday Night Fireworks and Sunset Dinner Cruise, during which you’ll be treated to a fireworks display while you relax off the Oahu shoreline. Exploring Hawaii by sailboat offers guests the chance to enjoy the scenery from a distance and take part in water sports. 3. Captain Andy’s Sailing Adventures, Kauai: Captain Andy’s Sailing Adventures takes you around the Na Pali coast of Kauai, one of the most beautiful coastlines in the world. The company offers two catamarans (55 feet and 65 feet) and serves-up a variety of options from which guests can choose: a Dinner Sunset Cruise, a Snorkel BBQ Sail, a Na Pali Snorkel tour, a Dinner Sunset tour, or a Poipu Sunset Sail. Captain Andy’s also has a fleet of rafts available too. So, if you’d rather cruise in and out of sea caves, that’s the right choice for you! 4. Sail Blue Hawaii, LLC: Sail Blue Hawaii, LLC is actually a private sailing charter company that customizes each experience to the guests’ preferences. The 42-foot boat has a stateroom, two heads, a swimming platform, and other creature comforts, but the best part is the freedom to choose whichever experience you want. Some charter the boat for vow renewal, others for family vacations, still others choose to charter the sailboat to travel to a neighbor island. Your captain will help you customize the right excursion for you. 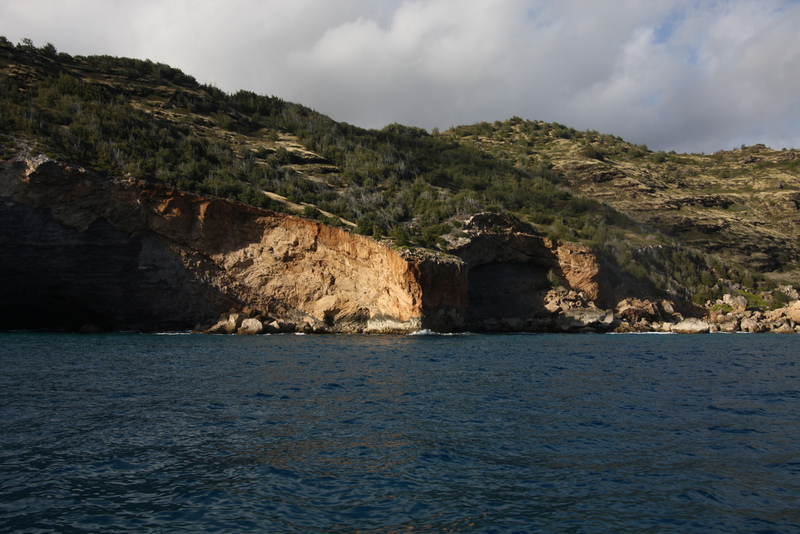 Captain Andy's Sailing Adventures on Kauai also offers rafts, which can navigate in and out of sea caves throughout the Na Pali coast. 5. Hawaii Island Sailing, Big Island: If you’re looking for a sailing experience along the Kona Coast, check-out Hawaii Island Sailing. They call themselves sailing “purists,” which means they don’t much run the engine while sailing. Instead, they SAIL. The company offers sailing adventures for Full Day, Morning, Afternoon, and Sunset tours. 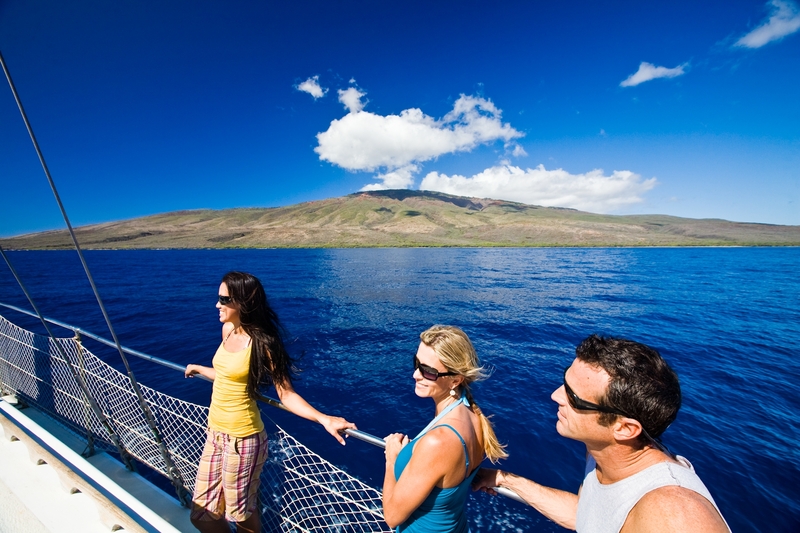 For the more adventurous sailor, we offer overnight excursions along the Kona–Kohala Coast. Along the way, you can snorkel, swim with the dolphins, whale watch, learn some Hawaiian history, trim the sails and take the helm (ASA certified instructors offer lessons upon request), fish, or just relax. If you want to sail around Hawaii, but not forfeit any of the comforts of land, taking a sailing tour just may fit the bill. So, check-out these sailing trips and see why so many visitors choose to set sail and explore!